Coastal residents need to know that when it comes to tsunamis, there may not be just one wave and the first wave isn’t always the biggest, three scientists are saying. Their new research shows that tsunami waves and coastline slopes might combine to create resonance that amplifies the water coming onshore. Contrary to what many people might believe, a tsunami travels not as a single large wave but in a wave train of several large waves. The height a given wave reaches when it comes onshore is called runup. This is different from a wave’s inundation which is how far it travels horizontally – or inland – when coming onshore. Though scientists have known for a while that the first wave in a tsunami train doesn't always produce the highest runup, they have struggled to explain why. New research published Friday in Physical Review Letters details how the three researchers used a computer model to show that a tsunami’s frequency – how closely in time one wave follows another – combined with a shoreline’s slope can result in a resonance that sends more water onshore. At its lowest point, a tsunami wave receding from the shore resembles a pendulum about to fall: It has a lot of potential energy. If this receding wave meets another incoming tsunami wave at that moment, its potential energy will add to the kinetic energy of the incoming wave, reinforcing it and making its runup higher. The same resonance happens when an adult pushes a child on a swing. If the adult gives the child a push right when the child is at her highest point, she’ll swing higher in the next arc. Another push at just the right moment will send her even higher. In the same way, when the two tsunami waves meet at just the right moment, it causes the inbound wave to go higher on the shore. The slope of the shoreline affects how much the runup will increase. If a wave hits a flat beach, there isn’t much resistance and the wave will simply travel inland. If, however, a wave hits a vertical wall, it has nowhere to go but up. Similarly, the steeper a beach’s slope is, the larger the runup will be. The researchers ran computer simulations of tsunami wave trains hitting three different beach slopes. First, they tried a flat slope, then a slope with a small hump and lastly on the real-life slope of an Indonesian island where a tsunami killed several hundred people in October 2010. They found resonance behavior in all three cases, including the Indonesian shoreline where the third wave had the highest simulated runup. Modeling tsunami behavior at the shore is difficult said Frederick Dias, one of the three researchers who is a visiting professor at University College Dublin. Tsunamis have three phases: Generation, propagation and shoreline impact. The propagation phase is well understood, Dias said, and can be reproduced well with computer code. Scientists are still working to understand the generation phase, but there, too, the models to simulate seafloor movement and tsunami creation are "pretty good," he said. 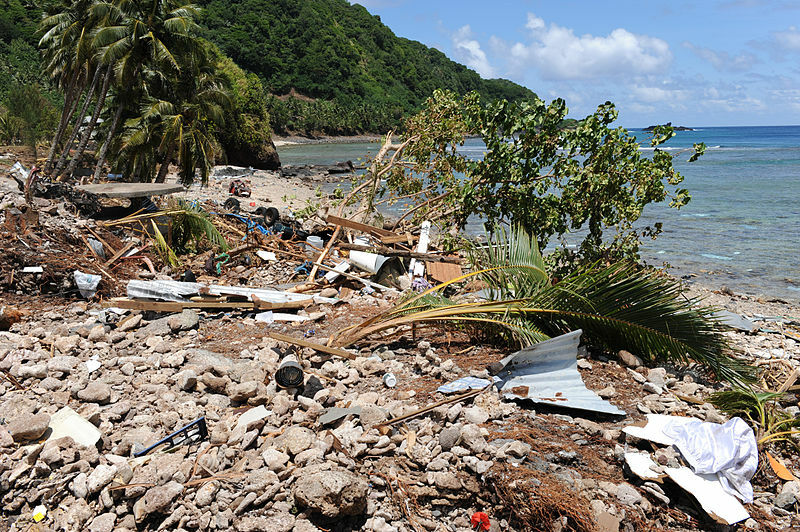 "What is really missing," Dias said, "is the last stage when the waves arrive on the shore." Runup, he explained, is a localized effect and no one model can extend to every beach because the unique bumps and valleys of a given beach affect which frequencies will result in resonance there. "An area in a specific place could be subjected to the resonance from one tsunami and not the other," Dias said. "We could highlight areas involving steep slopes since potentially [they] may lead to high amplification values," Dias’ colleague, Denys Dutykh at the Universite de Savoié said. Their results show that a higher slope will likely result in a bigger runup, he said. Ocean scientists do use computer models to forecast when and where a tsunami will reach the shore, but it is a time-sensitive and nascent process. When an earthquake is detected, the first tsunami warnings go out and data about the earthquake is fed into the models. Then, as the wave train travels, measurements from ocean buoys are fed into the models and warnings are updated. Hermann Fritz, a professor at the Georgia Institute of Technology who studies tsunamis, called the researcher’s work an important finding. Though resonance could be one explanation for unusually high runup, Fritz also said that other effects, like localized landslides, could contribute to higher runups. Studying tsunamis, he said, is difficult because they happen infrequently and often scientists must rely on eyewitness accounts and post-tsunami surveys for information. Simulations like the ones done by these researchers, along with experiments, Fritz said, helps to fill in the gaps. Dias said his team will work to confirm what they have found using even more realistic models that include things like debris in the water. Then if it is confirmed, he said, they will think about how to incorporate their findings into tsunami warning systems. 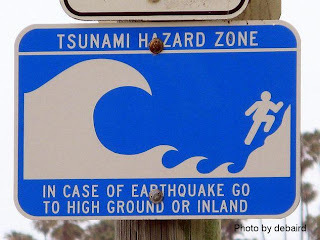 In the meantime, “The important message is that a tsunami can last for a few hours and that it can be quite devastating even through its fourth or fifth wave,” Dias said, warning people to wait a few hours before returning home. Just because the first wave has come it doesn’t mean it’s over. The researchers’ work appeared this Friday in the American Physical Society’s journal Physical Review Letters. My name is Ram Kumar P.V., I am a final year B.tech student from Andhra Pradesh ,India . I had done a model to protect the coastal area from Tsunami sir. 1) The overturning and the sliding occurrence of the structure will be less. the model will be constructed in the semi circle method from sea view and closed with small wall from the back ( 4 meters )..
Sir if you are dealing with Tsunami resisting structures (or) Wave Analysis please help me sir. I will forward the remaining details about the model sir if you are interested in the model sir.